YPSA team comprised Md. 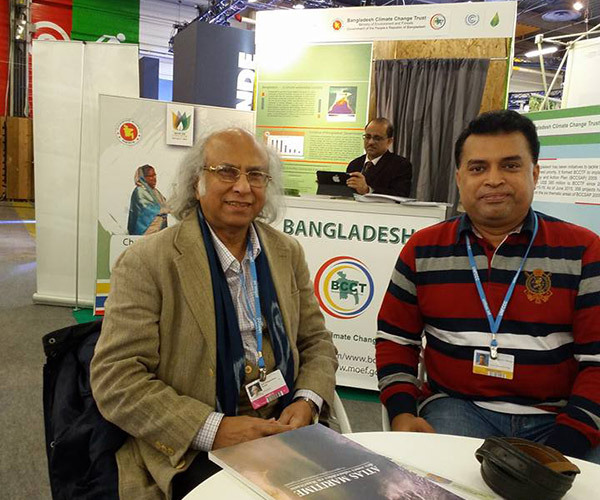 Arifur Rahman, Chief Executive of YPSA and Mr.Vashkar Bhattacharjee, Program Manager of YPSA and GAATES Country Representative in Bangladesh officially accredited by the United Nations to join the UN Climate Change Conference, COP21 at Paris, France. 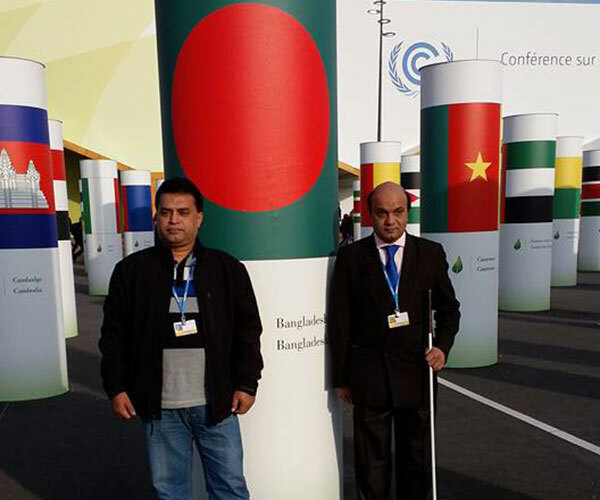 It was a good opportunity to share hands on experiences on the climate displacement and Bangladesh housing, land and property rights initiatives, inter-relations with person with disabilities and their challenges and sufferings in Bangladesh and worldwide. The United Nations Climate Change Conference, COP21 held at the Le Bourget , Paris, France from November 30 to December 13, 2015. This was the 21st yearly session of the Conference of the Parties (COP 21) to the 1992 United Nations Framework Convention on Climate Change (UNFCCC). The conference objective was to achieve a legally binding and universal agreement on climate, from all the nations of the world. UNFCCC COP21 Climate Generation Space hosted debates, conferences and artistic, educational and cultural exhibitions as well as showcasing civil society solutions to climate change, this was accessible to the COP 21 delegates as well as to the public and those participating in events in the wider Paris area. 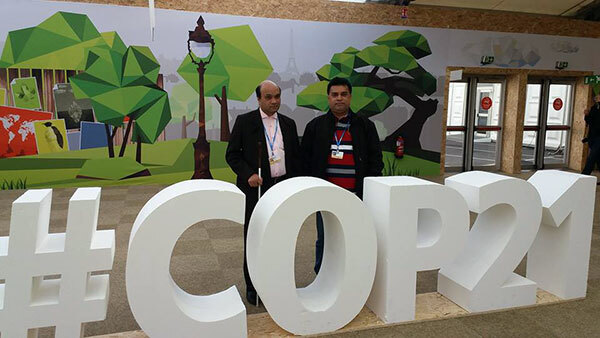 YPSA team attended many side events and met representatives from different organizations and institutions during the COP21. The team disseminated information of Bangladesh Housing Land and Property Rights Initiatives, climate change and disability related activities in Bangladesh and built up networking with likeminded people and organizations. YPSA have gathered new experiences and learnt best practices from other part of the world and hoping that later on YPSA will take initiatives to localize it for the betterment of climate displaced person and persons with the disabilities.